In any thesis or dissertation, the conclusion chapter is one of the document’s most important parts. Despite its importance, however, this chapter is often neglected. This is unfortunate since a conclusion plays a key role in such a paper. Therefore, it is important that writers take sufficient time to get it absolutely right. A conclusion is important because it is where you convincingly argue that your work makes a valuable contribution to existing knowledge while showing what that contribution is and its significant implications. Although a conclusion is often shorter than other dissertation chapters, it does have a vital job to do. The student takes a laborious journey back through all the findings that were described in earlier chapters. This is something examination boards hate. You do need to recall the findings, but this needs to be done concisely and with elegance. The purpose of a summary is to finish off the main task. The student introduces lots of fresh material. This confuses examination boards and leaves them wondering where this new material has appeared from. If you do need fresh material to make your final case, it should be introduced in an earlier chapter such as the introduction, literature review, or methodology chapter. The writer’s case for doing a particular piece of research is described at the outset. In the conclusion, you should show how you have addressed or endeavored to address any issues or problems. If your aim is to make the case that your thesis makes some type of literary contribution, this should be mentioned in the literature review chapter. Any gaps need to be identified and filled. If your argument is that your research makes a practical contribution towards solving some problem, then you need to establish the existence of that need (with evidence) early on. If you introduce fresh material towards the end, it is likely to give an examinations board the impression that you ran out of time or could not be bothered to return and add the new material in its rightful place. Introducing new material at the end often indicates the introduction was written long before the writer decided what their argument would be. For example, this scenario could apply to students who write a literature review early on in their academic career and leave them aside to use later. Research limitations are not discussed. This need not be an extensive discussion on the project’s limitations, which the examinations board can do, but it is essential to state clearly what your research covers and does not cover. This creates the foundation for the type of claims mentioned later in point 4. Some writers briefly acknowledge limitations but do not mention themselves in this acknowledgement. This can give the impression that they learned nothing from their research and their knowledge is the same as when they started. While it is not necessary to give an extensive account, it is very important to understand that the limitations in a research project are not just a reference to location, method, or sample, but that they also concern the writer and their capabilities and/or any blind spot they may have. This point can have greater significance from one discipline to another, but most examiners expect to witness some reaction after a considerable period of research, thinking, and writing. Claims are exaggerated or not emphasized enough. This point relates to point 3 above. The claims being referred to concern what the research covers and does not cover. Essentially, they are the main points and implications of the research. When writing a conclusion, it is very important to transition from summing up one’s findings to explaining their meaning. These are the “what does it matter” and “what now” questions. Why did you feel it was important to do this piece of research? This question must be answered in your conclusion. Some thesis papers that do not answer this question are occasionally presented to examiners. However, these are often from students who have conducted reasonably small studies and there is not so much that can be done in a short timeframe. Yet, these papers go on to make wide-ranging general statements, which are best avoided except in cases where the research really does break new ground. Doctoral research in most cases is not world changing but this work can draw attention to serious policy questions and suggest possible remedies. What is more common, however, is to see writers hurry through the section that discusses the possible implications of their research work. Some make a few suggestions about current practices or policies and speculate briefly about further research in the future. Often, they do not refer to any related works of literature. This is not a good idea because, apart from anything else, doctoral-level research should add to the sum of knowledge about some particular subject. Therefore, it must refer to relevant works of literature, but a lot of papers do not. It is crucial that the content in a thesis or dissertation conclusion links back to the literature chapter. All the above mistakes can leave the writer depending on the sympathy of an examinations board, when this really is unnecessary. 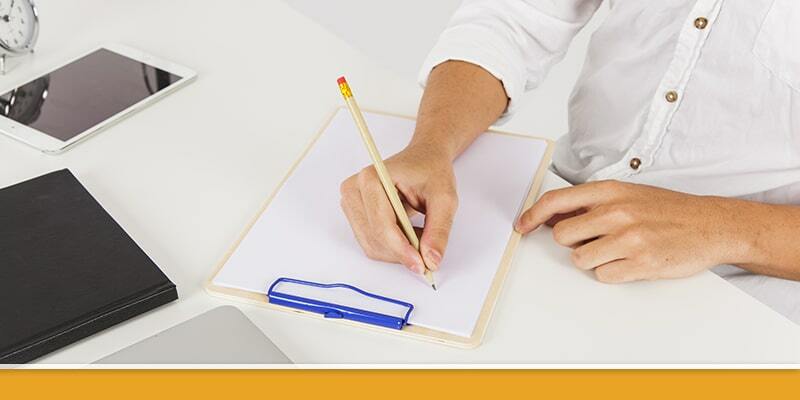 One thing that is very worthwhile when writing a conclusion is to have a checklist. This is likely to be a great help. It is also important to allow sufficient time at the end of your project to ensure everything is done in a proper manner.